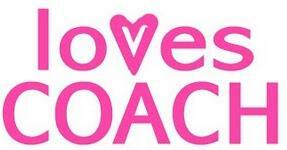 Bringing you the "LovesCoach" experience! We are independent and are not associated with anyone else. "I;ve just received my order last night, 2 days before the actually date that u set.
" Hello there! I've received the bag on Sunday and it was gorgeous in real life.
" Hi,I just received my wallet from your partner, Phillip earlier today and the wallet's so pretty in real life as compared to the pictures from your blog. "Hi,Bag received in good order.Thanks so much for taking time to answer all my queries about the bag earlier, I really appreciate that! Regards " Emily.
" Hi, I have already received both items and being delivered personally by Justin. He is really patient and a friendly person. "I have jus receive the stuff. They are in good conditions. "Hi Love Coach, We've received our orders in good condition. My husband and I were very satisfied with your service. Tks for making our online shopping easy n happy. "Dear LovesCoach, I received the item in good condition and the delivery was prompt! "This is is 2nd purchase from you. Delivery was very very fast. "Me and my family are really satisfied with your service! really good and thank you so much for the initiative put in to find what i want. even though its not available anymore." "Hi, I have received my item last night and was very happy with the item and service you and your partner has provided. "Hi, My friend has received the gift in very good condition.
" Service is fast and good. Prices are reasonable.
" hi, I received the loot from your partner. Love it, especially the fact that it comes with individual gift receipts and gift boxes....and your partner here is also very efficient and details. "Hi, I had received the goods earlier than expected. Your service is ready very goods, you are very patience. Your explanation is clear, and prompt reply on my query. "I've received the item! Thank you so much! Love it to bits! Excellent! Thank you thank you!Hope to deal with you again!" “Just received the items! Thanks for the items! I am hooked and back again for more"
"I received the red zoe wallet and red pursebag last night. They surely love it very much and I also like to get the red zoe wallet for myself if u still have it." "i have received the beg in perfect condition, so surprised that it reach me before the given date! thank u for the wonderful & fast service"
"I've received the wristlet last night, thanks for the great service, my daughter loves it. Will look out at your webby for new additions. Thanks"
We would like to share this joy with COACH Lovers out there who always wanted an authentic classic COACH bags at affordable prices. We are currently studying in the US and would personally pick the COACH bags from US and give you the Best and lowest COACH prices that you will ever get. All bags would come with an authenticity card, tag and gift receipt so you can be assured of it authenticity. Photocopies of the original receipt will be given if there are no gift receipts available. Gift receipts are generated by the stores. Sometimes, the serial numbers might not match. Dust bags are given when available. New items would be updated frequently! Do check it out for great deals.